Iran petrochemical industry is one of the major sectors of Iran oil industry most appropriate for investment. This industry started to grow in mid 90s in Iran and reigned for more than a decade; however, from the second half of last decade, this growth has been going through a decline due to various reasons such as start of privatization in this industry as well as starting out the sanctions against Iran so that it climbed to its lowest within the past couple of years. At present, considering the ease of western sanctions against Iran, ground has been paved for different sectors of this industry including its upstream, midstream and downstream sectors to flourish again. ‘Iran Petrochemical Survey 2016’ presents the figures relevant to Iran’s production and export of petrochemical products in the past ten years and provides comprehensive information on the output estimates of major petrochemical products by 2020. This report studies current status of Iran petrochemical industry projects as well as those projects planned to be implemented by the year 2025. Major Shareholders of Iran petrochemical companies as well as the impact of privatization on this industry will be among other issues covered in this survey. 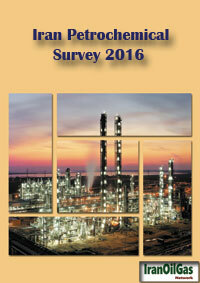 Besides the above-mentioned issues, potentials and challenges of Iran petrochemical industry have been also covered in ‘Iran Petrochemical Survey 2016’.